From her jewels to her clothing, Sophia Loren clearly had taste with a capital ‘T’, and is one of the most beautiful and talented actresses to grace the silver screen. “Everything you see I owe to spaghetti”, Loren once said. That must include her classic cars too, then. Loren had several, including an Alfa Romeo Giulietta, Ferrari 275 GTS, Ferrari Daytona (I can’t imagine Sophia wrestling the heavy, non powered steering around), Mercedes-Benz 280SL, Rolls Royce Silver Cloud II and even a Mercedes-Benz 450SEL 6.9 that was converted into a station wagon, complete with mesh dog-guard to prevent her hounds climbing into the passenger area. But perhaps the car she is best known for owning is a 1955 Mercedes-Benz 300SL in which she posed with some frequency. Loren received the car as a gift from her husband, the prolific Italian film producer Carlo Ponti (perhaps best known for Marriage Italian Style, Doctor Zhivago, and Blowup). Ponti surely wanted his wife to drive a car as glamorous as she was, and he found her match in the sleek, teardrop shaped coupe. Of course, now Gullwings have become a familiar sight at concours, and auctions, coveted by collectors the world over. 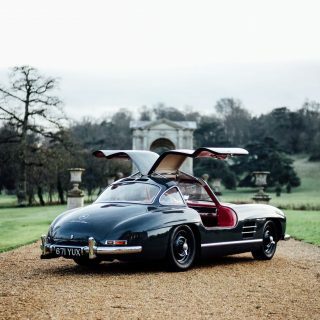 But in the 1950s the Gullwing was a sports car that could also be used as a daily driver at a time when many high-end sports machines could be…ahem…fickle. 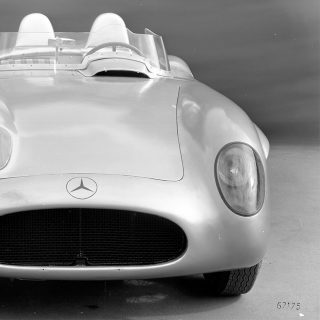 Closely related to the W194 racers, the 300 SL was the state-of-the-art in sports cars, with a $7,000 price tag to match. Mechanical fuel injection was a production car first, and performance didn’t disappoint. 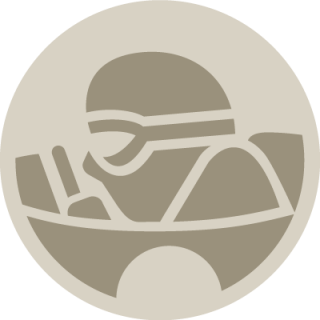 The 3.0-liter engine’s 220 hp at 5,800 rpm was a 50-hp bump over the racecar that spawned it, and an optional Sport Cam boosted power to 240 hp. 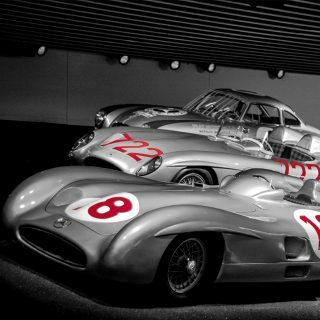 A 300 SL could reach 0-to-60 in less than eight seconds and hit a top speed of 140 mph, depending on axle ratio. The option list was fairly short: Rudge knockoff wheels, $350; leather upholstery, $142; matching fitted Mercedes-Benz luggage, $142; a Becker Mexico radio, $200; and bumper guards, just $35. With the car, Loren joined other luminaries in a very exclusive club. 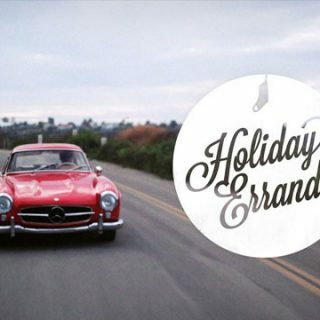 William Randolph Hearst, Zsa Zsa Gabor, Tony Curtis, Glenn Ford, Clark Gable, and Elvis Presley are among the famous owners who once warmed a Gullwing’s seat. 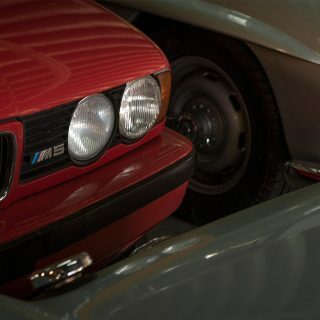 They, and Loren no longer have their cars which might have annoyed them had they known that these cars now regularly fetch one million dollars or more at auction. Depending on their condition and provenance of course. Still, we can feast our eyes on lovely Sophia in her Gullwing. Time forever stands still when captured on film, but clearly the woman had taste. Sofia’s 300SL in the early sixties was bought by the italian Mercedes Benz dealer of Lucca, Tuscany. In that occasion he modified the front of the car putting on the roadster’s headlight . His son used the car for some years expecially for night trips on the cost of Tuscany, in Viareggo or in the near Castiglioncello ( Il Sopasso). They sold the car to a saleman in Florence and unlickely the Gullwing in November 1966 was destroyed in the drammatic Florence’s flood ! ….. and now the good woman helps promote Pagani ! Got to admit . Even in her declining years .. the lady knows a good car when she sees/drives one . And err … If you’d ever met her in person you’d know she had no trouble what so ever ‘ wrestling ‘ her 365GTB/4 around . ‘ Wrestling ‘ a Daytona’s steering by the way as I’m sure Mr Lange can attest to is more than a bit of an overstatement . Seriously … once up and running it just aint that much effort ! You don’t think the unassisted steering on a Daytona is just a little bit heavy, especially at rest? It’s heavy but no more so than an early Peugeot 205GTI that didn’t have power steering either, and my Mum had one of those. A lot of the criticism today comes from people who have grown up used to modern power steering systems and the heft comes as a shock. It certainly was for me the first time I drove mine. I would imagine that Sophia Loren would not have noticed that much of a difference coming from a Gullwing. The Gullwing’s tires are narrower in section, and the steering wheel would have been larger in diameter making it (slightly) easier to maneuver IMO. Sorry, but the 365GTB/4 has uber heavy steering at rest. It takes both arms to turn the wheel at a complete stop. I know because I worked as a buyer for an exotic car dealer (Ed Waterman) in the early 1980’s and we had many of these that we bought an sold over my three year tenure. BTW, they ran roughly around $40-$60K for coupes and $80-$100K for a real spyder.